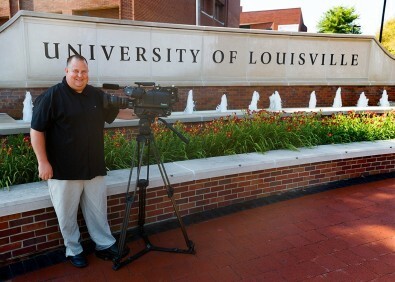 Louisville U. upgrades camera inventory with ten Ikegami HDK-99 3-CMOS cameras. The new ESPN-owned ACC Network is set to officially launch in 2019, but the University of Louisville is ready to create content right now. The addition of 10 new Ikegami HDK-99 3G Full Digital 3-CMOS HDTV Portable Cameras are central to a comprehensive upgrade of the Cardinals’ production plant. “With the impending launch of the ACC Network, camera selection was of paramount importance to us” says Jeremy Noe, Director of Television Production, University of Louisville Athletics. Jeremy Noe, director of TV production at University of Louisville. The HDK-99 is the successor to Ikegami’s HDK-95C, and the elite offering from the company’s expansive Unicam HD line. It employs three 2.6 Megapixel high performance CMOS image sensors capable of capturing full HD 1920 x 1080 resolution. Along with a wide dynamic range of more than 600%, the HDK-99 captures HD video with its horizontal resolution of 1000TVL, SNR of 62dB or more, and high sensitivity of F11 (59.94Hz). A primary consideration for the University of Louisville is Ikegami’s high speed digital video processor incorporated in the HDK-99. Ikegami’s AXII was developed for the range of next-generation HD, 4K, and 8K cameras, with the ability to perform high speed processing of super high-resolution video signals in multiple formats and frame rates.